Oh Crap. My Parents Joined Facebook. 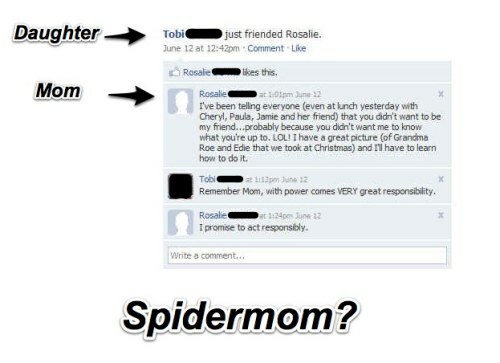 highlights assorted embarassing or otherwise ridiculous comments and status updates left by parents on Facebook. Nice idea, although it would be even better if not for the bold, shadowy commentary that may very well be written by a parent in disguise. The site also features postings from other relatives including aunts, grandparents, etc. Seriously, with all the parents out there rocking the book we’re at a loss for material? Get crackin’, Pa. Your child needs you still.